Richard L. Chappell, Ph.D., Biologist at the Marine Biology Laboratory, has been recognized by Marquis Who’s Who Top Scientists for dedication, achievements, and leadership in biology and higher education. A Whitman Fellow at the Marine Biological Laboratory in Woods Hole, MA, since 2017, Dr. Chappell has amassed nearly 50 years of professional experience in his field. In addition to this appointment, he has been a research professor in the department of physiology and biophysics in the Jacobs School of Medicine and Biomedical Sciences at the University at Buffalo, the State University of New York, since 2016. Prior to these positions, he served as a full professor at Hunter College beginning in 1980, reaching emeritus status in 2012. He also served Hunter College in several other capacities, including assistant professor of biology, associate professor, and chairman of the department of biological sciences. Notably, he briefly served as chair of the Antarctic Program Task Force with the National Council of the Boy Scouts of America for four years. To prepare for his illustrious career, Dr. Chappell pursued a formal education at Princeton University, earning a Bachelor of Electrical Engineering in physics in 1962. He concluded his education at Johns Hopkins University, receiving a Doctor of Philosophy in biophysics in 1970. A contributor of myriad articles to professional journals, he was the author of “Antarctic Scout,” published in 1959. 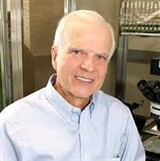 In recognition of his exceptional contributions to biology, Dr. Chappell has been honored with several grants from the National Science Foundation since 2006 and from the National Eye Institute with the National Institutes of Health from 1971 to 2004. In addition, he received the Antarctic Medal from the U.S. Congress in 1959 and a mountain in Antarctica was named after him, entitled Chappell Peak. Dr. Chappell has been selected for inclusion in several editions of Who’s Who in America, Who’s Who in Medicine and Healthcare, Who’s Who in the East and Who’s Who in the World. Next Darwin L. Cheney, Ph.D.